The dessert posts have been few and far between. Mission accomplished. I won’t mention the Krispy Kreme doughnuts we had last weekend after my friend, like a little cartoon devil sitting on my shoulder whispering in my ear, encouraged me to “just do it”. Last night was vegetarian night. One boy asked with a smirk on his face if, since we often do all vegetable nights could we sometimes do an all meat night. The other one asked what was for dessert. To appease the masses I put red meat on the grocery list and threw together a quick dessert with the last of a crate of Georgia peaches that needed to be used up. Peaches are serious business in our family. My husband is a huge peach fan. He loves them. 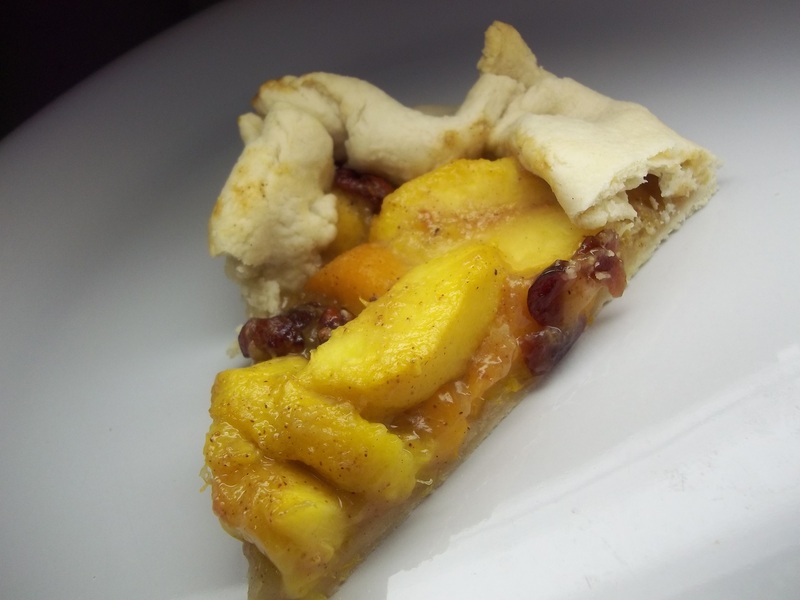 When we lived in Washington state, peach season was like dying and going to heaven for him. I can’t bite into a fuzzy peach without getting goosebumps so I peel mine, but he doesn’t seem to mind. He was raised in Montana, one of those things I simultaneously adore about him, yet tease him for on a regular basis, but his family on his father’s side are all from far western Colorado near the Utah border. For a FL girl who grew up watching Clint Eastwood movies with her daddy and had always dreamed of going out west to cowboy country, visits to my husband’s part of the country over the years have been a real adventure for me. I love it out there! When his grandpa died, my husband’s father drove him in the casket in the back of his Suburban, after obtaining a permit, something this FL girl had never even considered someone doing, to his family in Colorado so he could be buried next to his favorite relative. It put a whimsical twist on a sad affair to say the least, but I always wonder how hard it must have been for my father in law on that long trip from Montana. After the funeral, we were invited to a relative’s house. It was so strange for my husband because he hadn’t been to the area since he was a little boy and didn’t remember it or his family at all. It was neat to see second cousins or aunts with the same nose or stature and to be told stories of his family members and realize they belonged to him too. When we headed out to his aunt and uncle’s house, we went through acres and acres of peach orchards. Every mailbox had his family name on it. They were all relatives and they were all peach farmers. At the farm, his aunt had a floor to ceiling wall of historical and modern photos in her living room and pulled out a family tree she’d painstakenly worked to research and document. Odd to see pictures from another century knowing they were photos of the blood relatives of the baby I was holding in my arms. After a while, we went outside to walk the orchards with his uncle who pulled plums and peaches from the trees for us to sample. Of course the peaches were the best we’d ever tasted, as big as softballs, warm and juicy on a hot August afternoon. They would have to be the best. If his family members are anything like my husband, who couldn’t live with himself if he did less than his best which is usually better than anyone else, then that’s why they are such amazing peach farmers. What a weekend. It was so moving for him to find his people. He’s sure now that his love for peaches is in his blood. I always told him when we were moving across the country to the South, “Just wait till you try a fresh, Georgia peach.” Well, not only are they inferior in size, but we have yet to find a Georgia peach that can even remotely compare to his family’s Colorado peaches. Sorry Scarlett, I tried. We still buy plenty of them when they are in season, though, and recently, so many that I had to use them up before they shriveled. 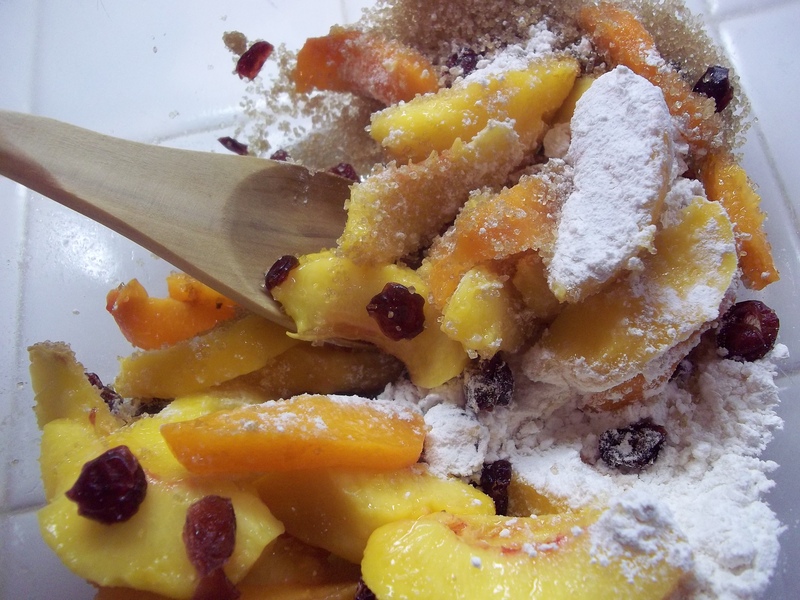 Prepare the crust by sifting together the flour and salt. 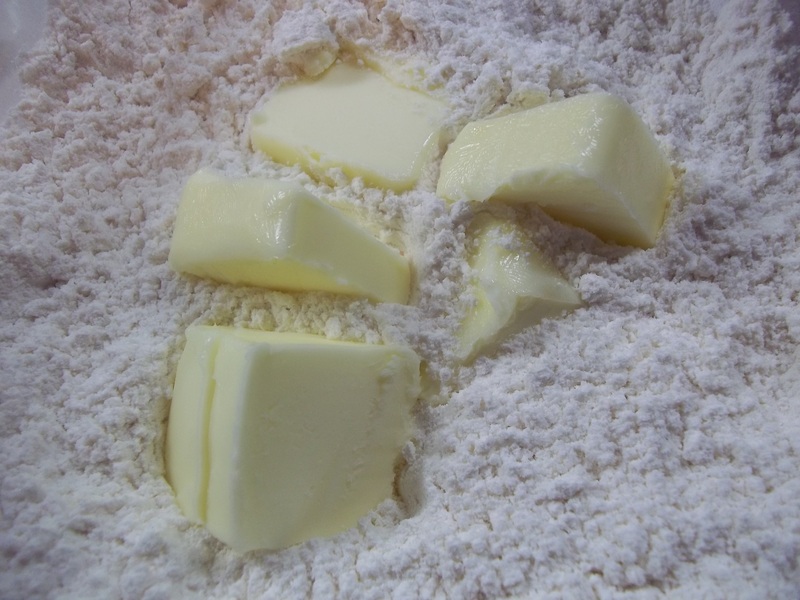 Mix in the butter by hand until it is combined and the mixture resembles coarse meal. 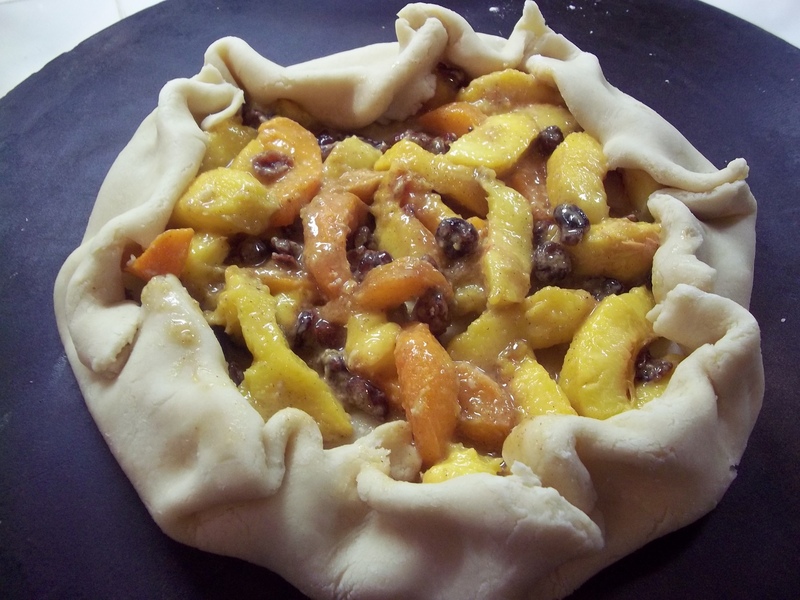 Add water a few tablespoons at a time and mix just until moistened into a dough that holds together. Generously flour a work surface. 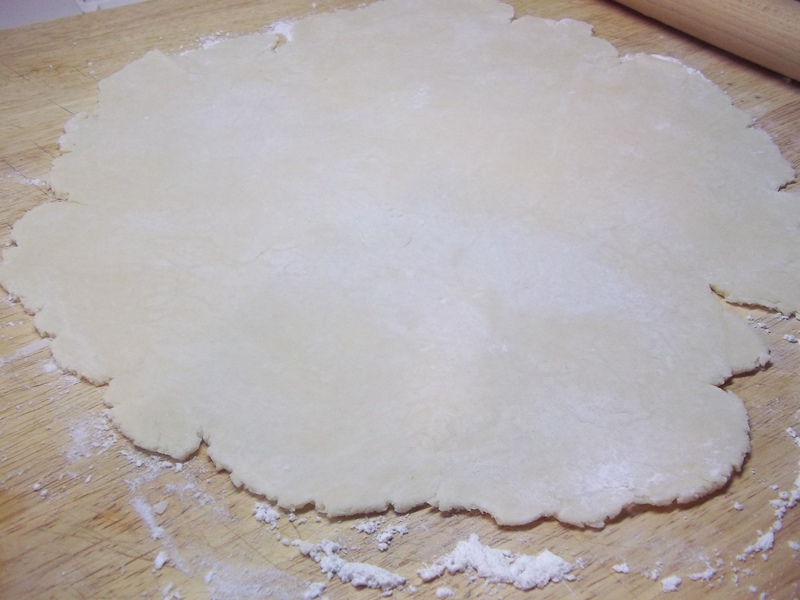 Roll the dough into a circle to about 1/4 thickness. Turn the rough edges over if you like to make a clean edge. 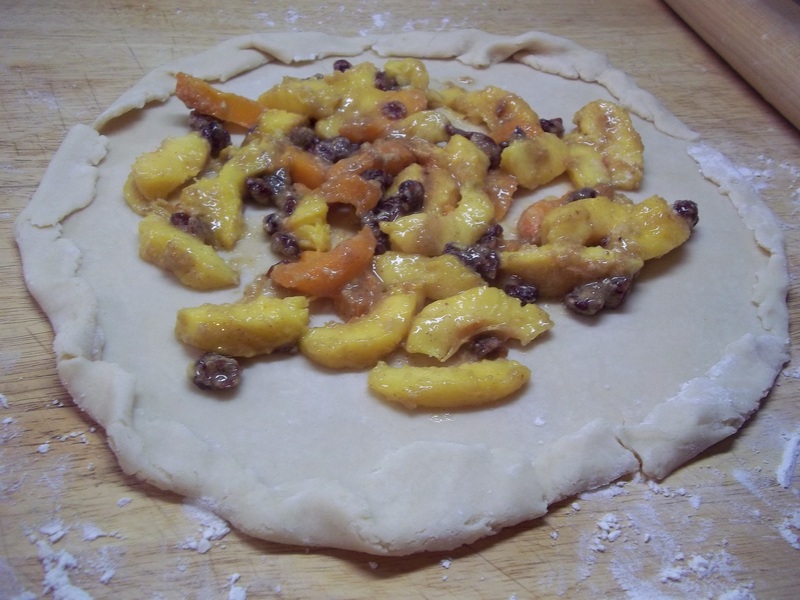 Transfer dough to a baking sheet or stone. I forgot and without a large pizza peel, you should have seen me trying to get the filled crust onto my baking stone, with a kitten attacking my feet at the time, no less. 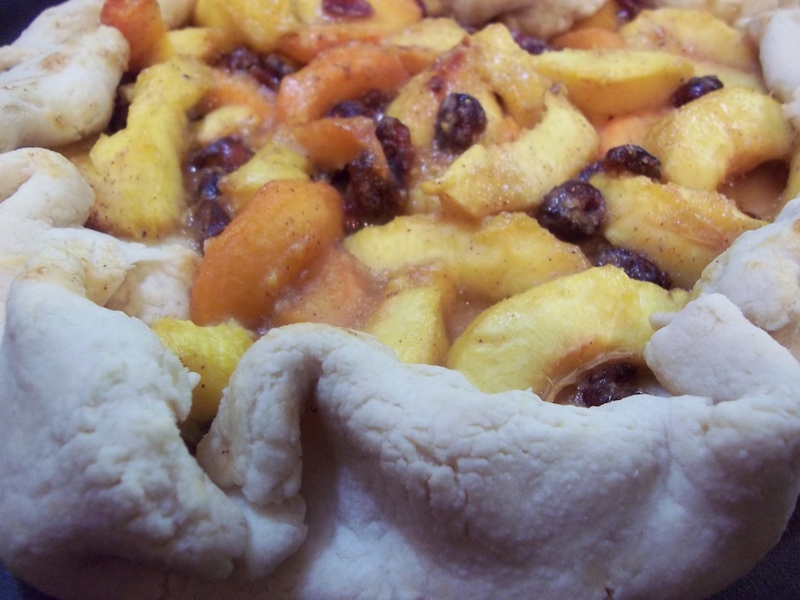 Place in the center of the crust and spread out, leaving about an inch and a half border. Fold the edges up and over.